Blue Sakura offers a unique all you can eat concept of Japanese sushi and Asian style grill. 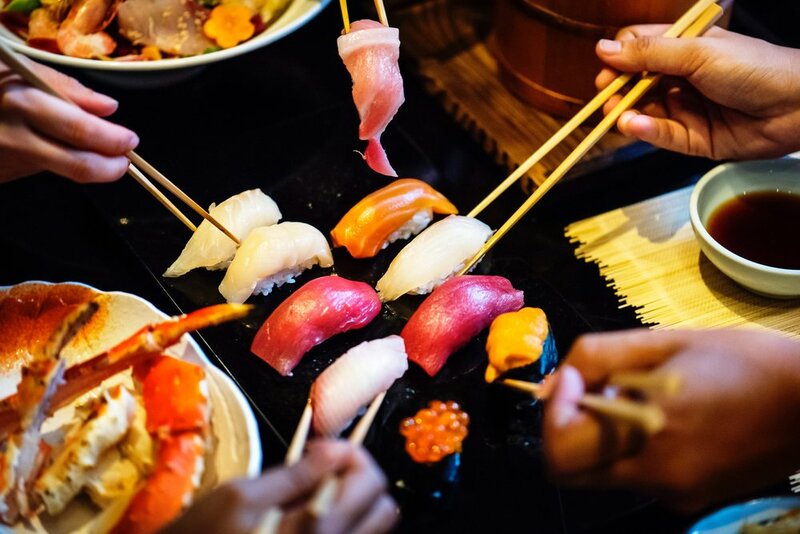 Get acquainted with hundreds of delicious cold and hot traditional Japanese Sushi dishes at an affordable price all ordered via touch screen technology at their tables. 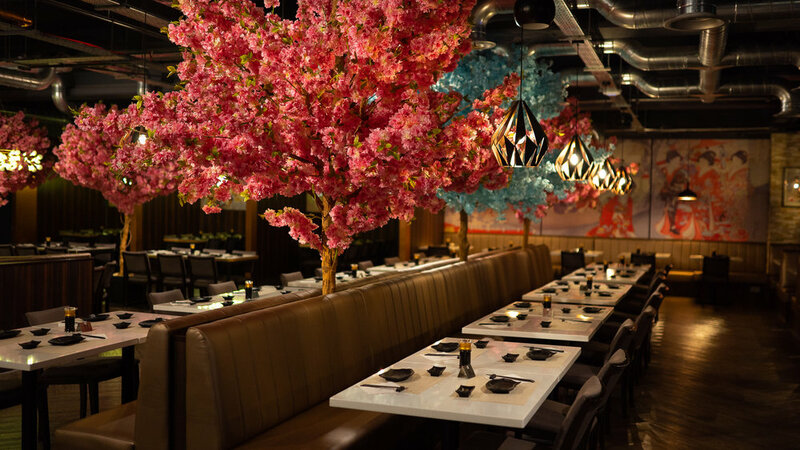 The restaurant’s comfortable interior is distinguished by its luxurious furniture, ambient lighting and Japanese inspired art - perfect for both larger parties and intimate evenings alike. Engage in the energy of the city and sample a variety of our signature cocktails whilst chatting with friends in our luxury restaurant bar - plunge into an unforgettable atmosphere of Asian inspired magic. *Kids classed as 140cm or below and aged 12 and under.